Titles and meta descriptions alone aren't going to get you to the top of the competitive terms but making sure you tick the basic SEO boxes is essential to your long term SEO strategy. A title tag is essentially the name of the web page. The title tag is displayed in the tab at the top of the page when you view it and are they often used on search engine results pages (SERPs) to display preview snippets for a given page. They are very important for search engine optimisation (SEO) and social sharing. Title tags should always make sense to the person searching for your website and ideally the wording should be based upon research into keyword search popularity and relevance to the page itself. Title tags have long been considered one of the most important on-page SEO elements; the most important being overall content. the most important keywords need to be at the start of your title tag, with your least important words being at the end (left to right). try to use pipes (sometimes referred to as vertical bars) to separate your phrases and avoid using any other form of punctuation such as hyphens, asterisks, or underscores. keep your important phrases short and simple. put your company name or organisation at the end of the title tag, unless you don't need to include it at all. We include ours for branding purposes and in some instances Google will move your company name to the start of the tag in any event - the SEO value is not diluted in these cases. not creating a page title at all. repeating or spamming keywords (search engines will think you're trying to beat the system and you will be penalised). making the titles too long. Search engines limit the number of characters which are displayed in SERPs and if they are too long they are truncated and not read by the crawling robots. Optimal titles should be between 50 and 60 characters. giving all of your page titles the same name. giving your page the same name as your business or website. naming the page without connecting it to your page content. Meta descriptions, though not important to search engine rankings, are extremely important for providing valuable click through from search engine results pages to your website. Whilst Google officially tell us that meta descriptions don't affect SEO, click through rate definitely does, so it's useful (albeit not essential) to have meta descriptions for every page on your site. Meta descriptions can essentially be any length, although most search engines will truncate anything longer than 144 characters. This means that anything you write after this point will never be read. Some argue that any additional characters could be viewed as an attempt at spamming, so best advice is stick to less than 144 and you'll be fine. Another tip is to try to keep your key information within the first 60 words. On occasion Google may display big site-links which may truncate your description even further. We recommend that you have a unique meta description for every page on your site. If you don't have unique descriptions you're actually better off having none at all; or least have unique descriptions for your important pages and nothing on your less important ones. Never duplicate descriptions. "The way I think of it is you can either have a unique meta tag description, or you can choose to have no meta tag description, but I wouldn't have duplicate meta tag descriptions." Meta descriptions display with searched keywords highlighted in bold, so incorporating your targeted keywords into the meta description can help to further highlight your search result to potential visitors. Using a local telephone number in your meta description can very useful as it enables users to contact you without even loading your website. Particularly useful if you're a tradesman who offers an emergency service and your main call to action is contact by phone and also means your bounce rate won't be negatively impacted. Also useful for existing customers that need to call you but don't need to visit your site. As mentioned in some of our previous blog posts it's really important to think about how a typical user reads the information set out in front of them on the screen. Most of us quickly scan the page and decide in a matter of seconds (or quicker in many cases) whether or not we're interested in the content. There's no need to get all flowery and verbose here, say what you need to say as concisely as you can. Make sure the searcher wants to visit your website before they go off elsewhere. You need to clearly explain why a user should want to visit your site. Your meta description is essentially a marketing message and you need to make sure that it communicates the value the customer will get by visiting your site. By including a call to action in your meta description you are advising the user exactly what you would like them to do; this is more likely to elicit the response you want. An example here would simply be to include the term 'give us a call' or 'contact us today'. Asking people to do something often results in readers taking the action you’ve requested. Other possible calls to action for your meta descriptions include “Discover how,” “Read more about,” “Click here,” or other related variations. There are some occasions when it is not necessary to include a meta description on some of your web pages. Google will automatically add a description using copy from your page content, so If your page is targeting long tail keywords you might be better off omitting the meta description and allowing Google to decide what it feels is the relevant text. If you want to rank higher in search engine results, you have to comply with Google’s set of rules and recommendations. 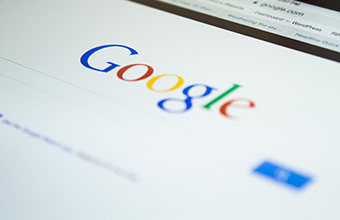 Google has provided a series of guidelines on how to write compelling meta tags and descriptions and regularly updates its content to keep users up to date. Try implementing these tips and the strategies described above on your website. The difference in both your site’s overall SEO valuation and natural search click-through rate should be significant!